AmazonFresh is available to customers in 69 Central and East London postcodes. Amazon Prime members in eligible areas can now order their full weekly grocery shop from a range of over 130,000 competitively priced products including Britain’s best-loved brands and offerings from local food producers and shops based in world-famous locations including Borough Market and Notting Hill. 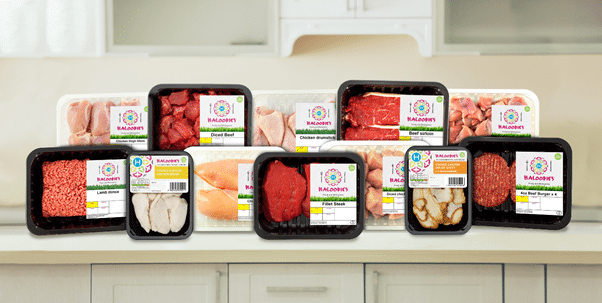 The new Haloodies cooked chicken range and fresh pack sizes cater for busy millennial Muslims who place a high value on convenience and quality. The brand was launched to meet the needs of the UK’s 3 million Muslims who possess an increasing desire to know more about the food they eat and are constantly disappointed by the poor quality and range of products on offer. Most current Halal brands were developed for first generation settlers or are owned by non-Muslims with a poor understanding of Halal consumer needs. The UK halal market is worth about £2.6Bn per annum, with many Halal consumers being young and looking for value, convenience and well-presented modern brands that reflect their own identity and values. Haloodies works to meet these needs with their range of fresh and ready to eat ranges available to buy with maximum convenience.